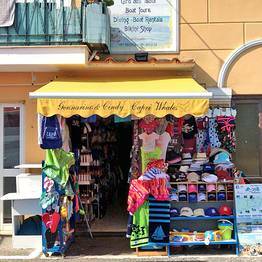 Life jackets for children and adults, snorkeling masks, beach towels, and cool drinks (water, Coke, beer, Prosecco, and limoncello). 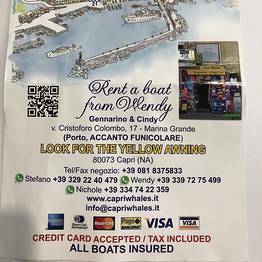 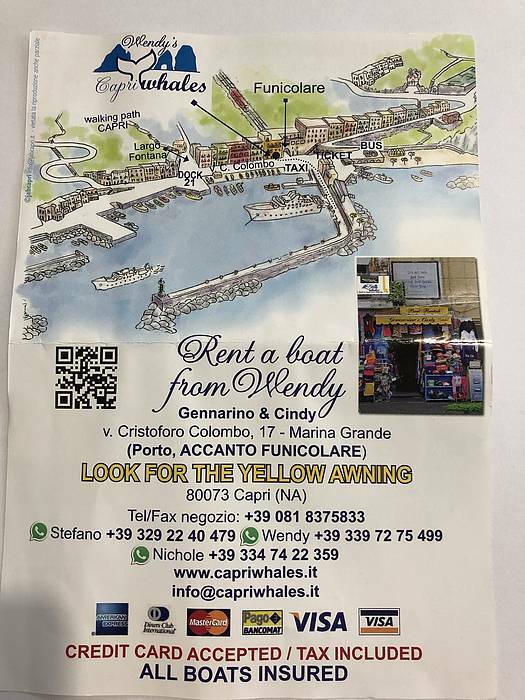 The meeting point for Capri Whales tours with departure from Marina Grande is the "Gennarino e Cindy" shop (see the map), located next to the funicular stop on Via Cristoforo Colombo, 17. 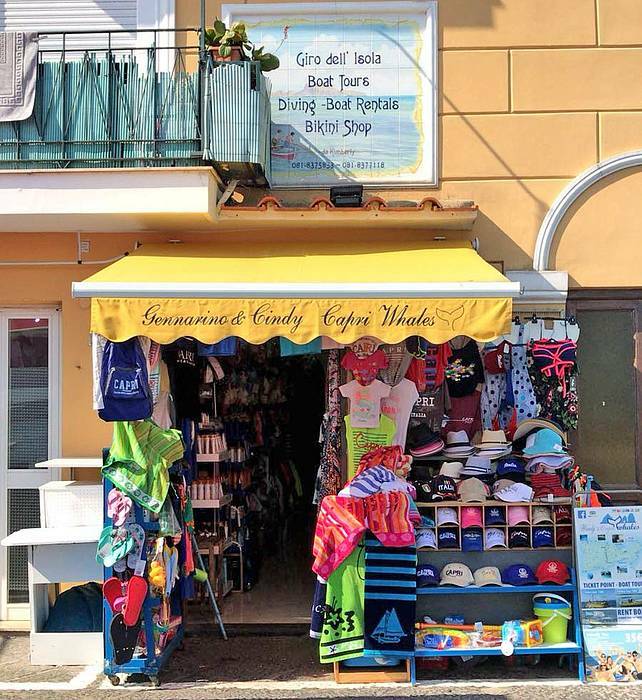 You will recognize the shop by the yellow awning and if you need to purchase something before the tour, choose from their swim suits for men, women, and children, towels, sunblock, hats, beach bags, etc... Clients can change before or after the tour in the shop's bathroom. 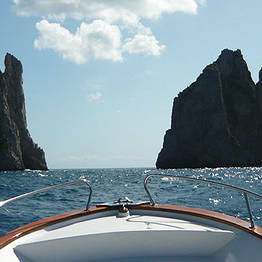 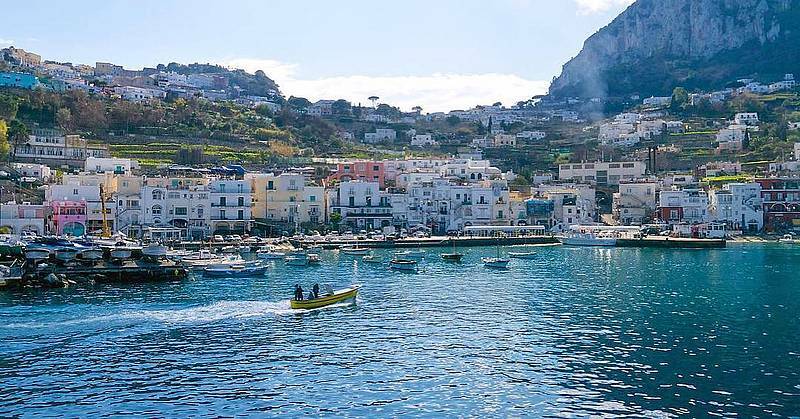 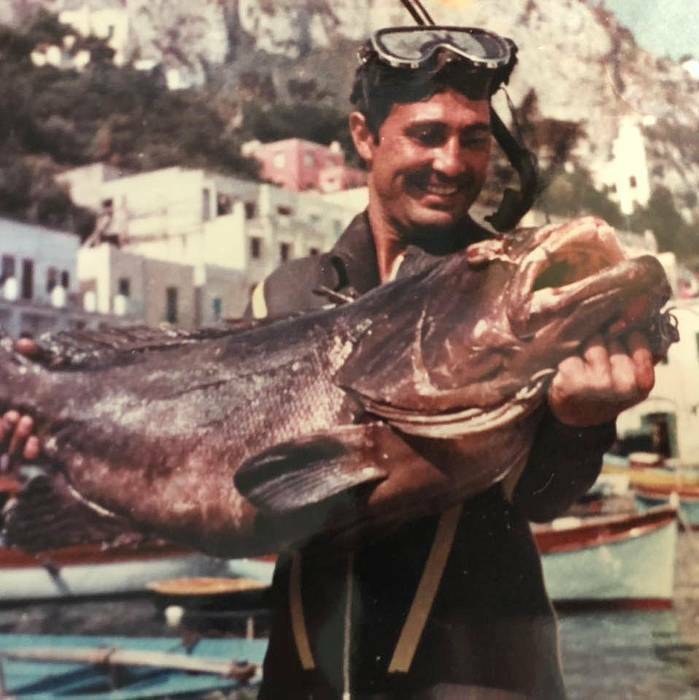 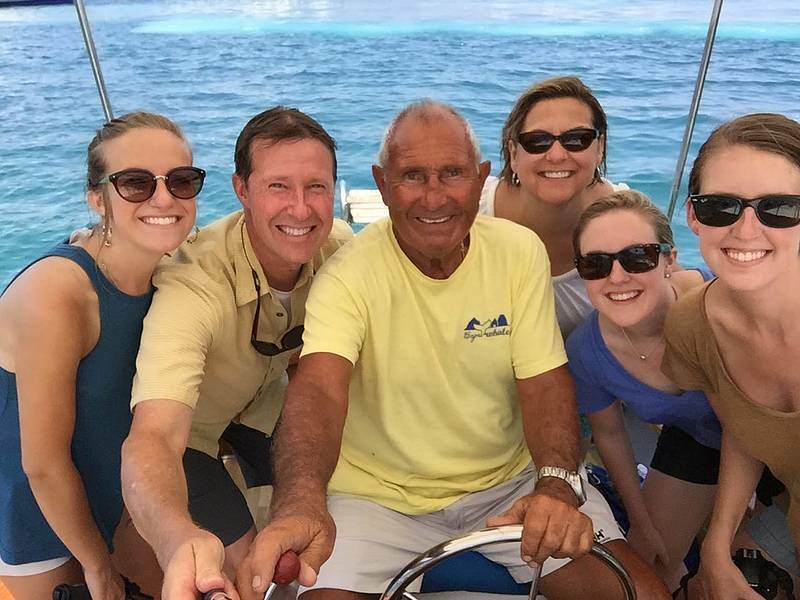 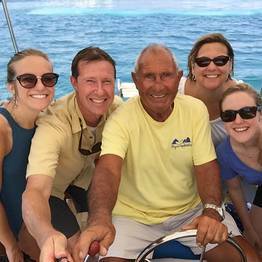 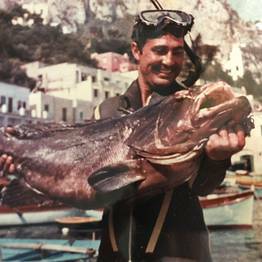 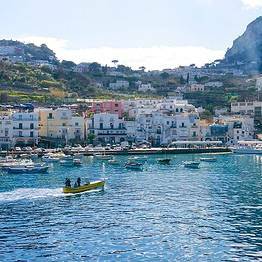 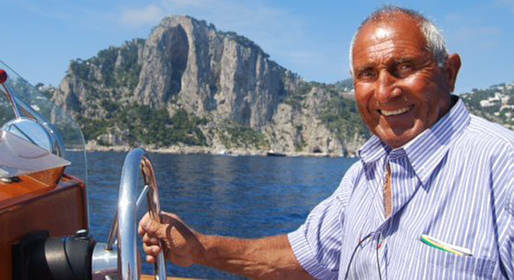 Gennarino speaks Italian, English, French, German, and Spanish, in addition to being an expert on Capri and its waters (and the first diver on the island. 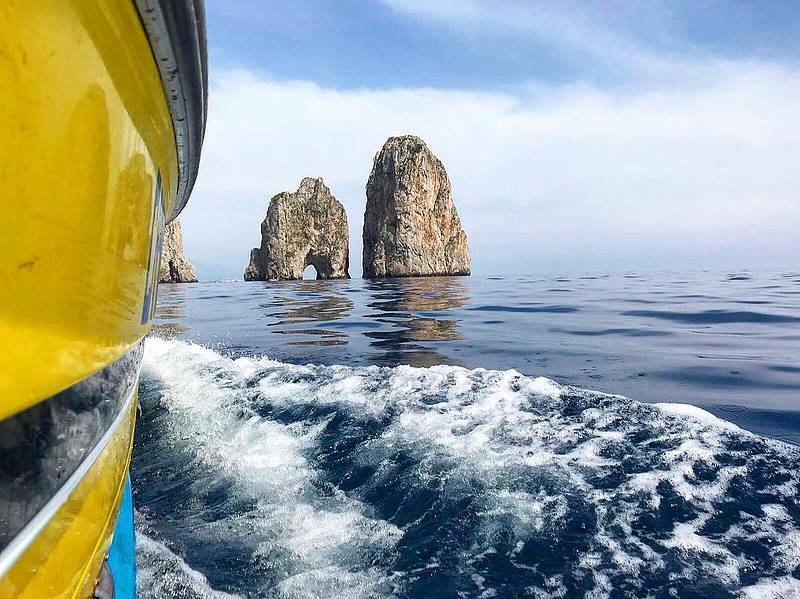 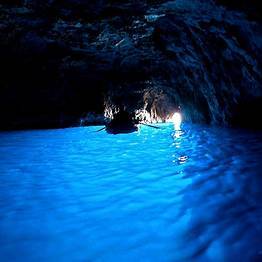 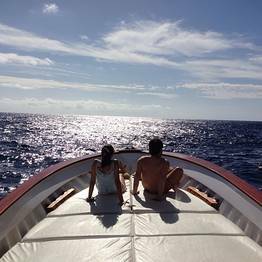 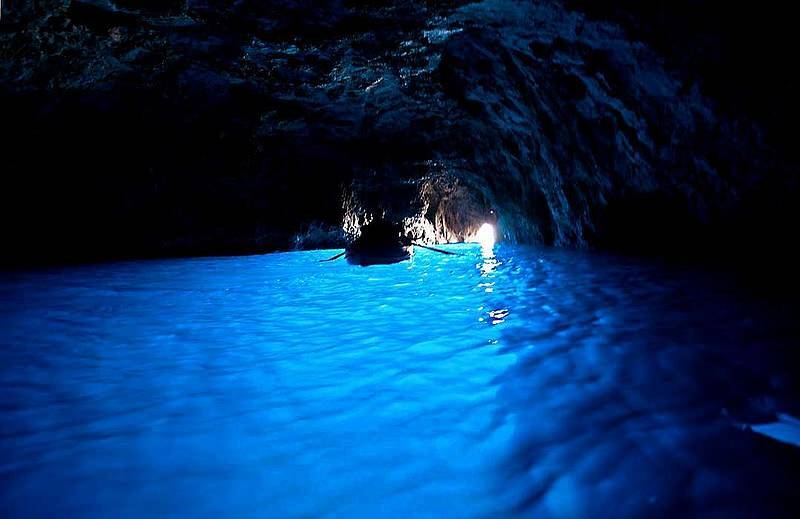 Blue Grotto visits are only offered during tours departing at 8:30 to avoid the long lines, and tickets must be purchased separately.